The principal of a high-profile college in financial crisis has resigned with immediate effect, FE Week can reveal. 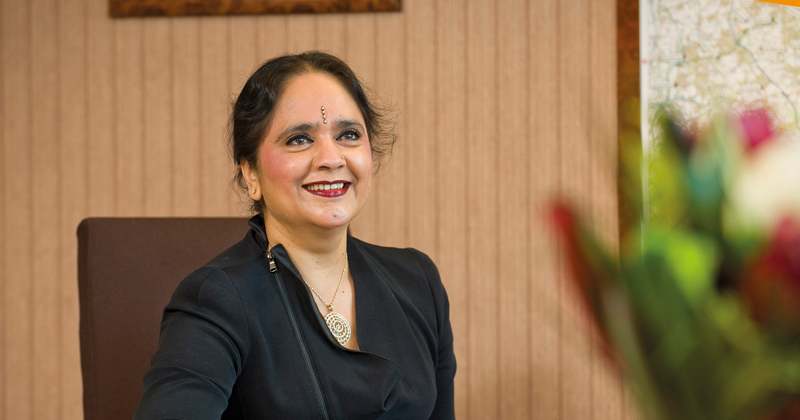 Dame Asha Khemka (pictured), who is one of the highest paid FE leaders in the country, stepped down from the top post at West Nottinghamshire College following a “special meeting of the board of governors”. It was held “in light of the current challenges faced by the college”. WNC received a £2.1 million bailout from the Education and Skills Funding Agency in July – which FE Week last month revealed was requested just 48 hours before it would have run out of cash. The ESFA then hit it with a financial health notice to improve, which triggers a formal review from the intervention team and the FE Commissioner. Despite the large cash injection, the WNC today admitted it “can’t rule out having to approach the ESFA for further funding”. “Following a special meeting of the board of governors and in light of the current challenges faced by the college, the principal and chief executive has announced she has stepped down from her position with immediate effect,” said Nevil Croston, chair of governors at West Nottinghamshire College. “The board thanks Dame Asha for her service and for the difference she has made to the college and the local community during her tenure. He added: “Although we are not the only college to experience financial difficulty at this present time, the board and senior leadership team deeply regrets that the organisation has found itself in this position. “We have every confidence in our ability to successfully implement our recovery plan and ensure our provision for students and employers remains first-class. Dame Asha received a £262,000 remuneration package in 2016/17. WNC’s website says she has received “many awards and accolades since being in post – including a Damehood in 2014”. She was also “named ‘Woman of the Year’ at the GG2 Leadership Awards”. “The college’s strength has always been in providing high-quality education and training that makes a real difference, and the current challenges will not change that,” Mr Croston said today. “We have already made significant progress in achieving this year’s enrolment targets, and across-the-board we are seeing our students achieve their qualification and move on to their next steps, whether that be further study or employment.